Kahr CW45 is my preferred carry with Wilson Combat compact 1911 mags (flush fit). Aside from this I carry my fullsize 1911 Para USA single stack. Currently looking to pick up a Ruger SP101 in 327 federal. Those..... will be a must have. Been saving for a 270mm HAP40 chef knife, but I may order one of these sooner. Well done Spyderco. Topic: Spyderco Ultra Fine (benchstone): Dry, oil, or water? Re: Spyderco Ultra Fine (benchstone): Dry, oil, or water? I have only ever run my M,F or UF benchstones dry. All with extremely desirable results in my eyes. Thus I have never thought to try it wet. I will give the Windex a try next time. I would think a small pruning style blade (wharncliffe) in PE or a similar hawkbill would be the best. A Millie would still be my choice to make Salty. Would that be a marine? I would think that the backlock version of the Manix 2 would be much easier to convert into a Salt iteration. I wonder how many people who prefer the CBBL to the backlock would be willing to compromise because the Manix has such great ergos. 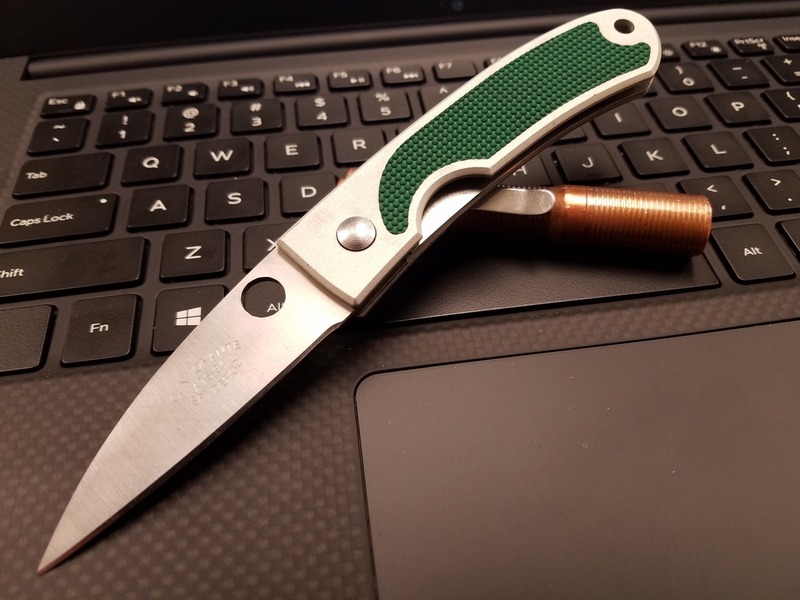 About ten years ago I picked up a NIB SE C54 Calypso for sixty bucks on clearance at my local spyderco dealer. It had been in the case a while and they were trying to get rid of it. 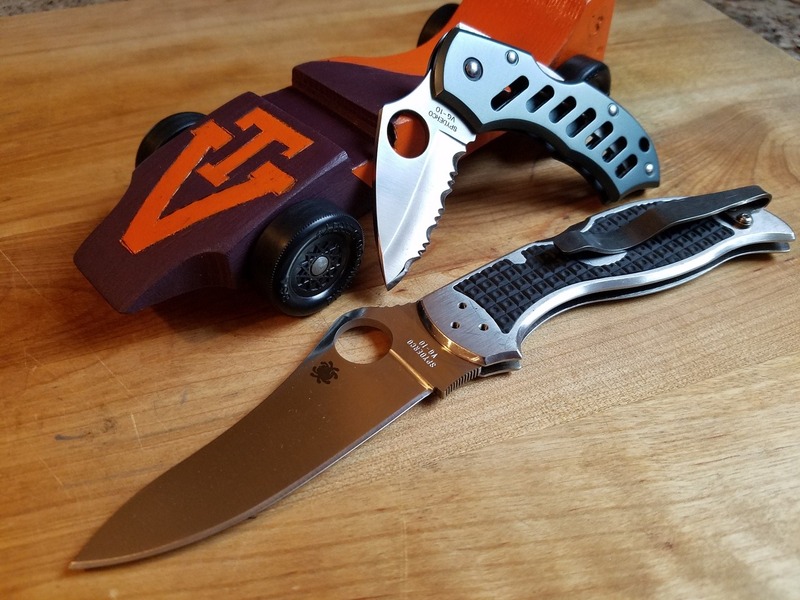 love that knife. Topic: What happened to Blerv? Re: What happened to Blerv? He's still around. I've seen him pop up on threads here and there. I know I've seen him lurking alot as well. Missed my Throwback Thursday post this week, but I'm still carrying these. It's Pinewood Derby Day for my little Webelo. Wish us luck. Re: Which Spyderco Knives have a Hollow Ground Blade? Picked up a used PE Walker lightweight this weekend for under $50. Topic: My Native 5 Laser - What A Slicer! Re: My Native 5 Laser - What A Slicer! Great color, your results may alter my purchase plan for the near future.